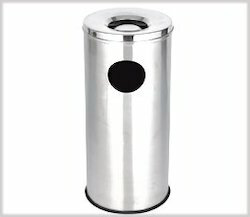 Leading Exporter of stainless steel dust bin with pedal, stainless steel push bin, stainless steel ash and trash can and stainless steel perforated dustbin from Mumbai. 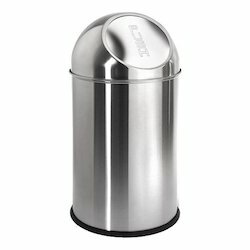 We manufacture a large variety of Stainless Steel Dust Bin with Pedal in various sizes. It is designed to offer supreme convenience of dust collection and replacement of the lid without physical strain. It features easy to use press to open type of pedal that has sturdy construction. The lid closes with gravity ensuring excellent hygiene. It is also provided with curved handle that has easy grip. 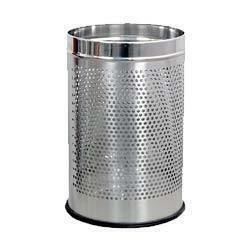 We manufacture wide range of Stainless Steel Ash and Trash Can of different types and sizes. Dust bin and wheel barrow molds are used to collect the trash and dispose it off. Dust Bin Wheels are however attached for easy movement and is offered at competitive rates. 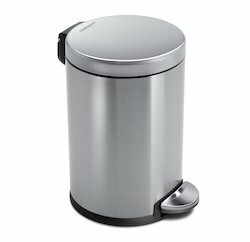 Looking for Dust Bin and Trash Can ?